You are here: Home / gutters / Are Your Gutters Causing Problems? Roof Masters discusses five of the most common symptoms of gutter-related problems. It’s important to call us immediately for a gutter replacement if you notice any of these signs. Rusted Troughs – If you see rust in your gutters, this means that standing water is a recurring problem. If this is the case, you have to get a professional like us to fix this immediately. Standing water can also attract pests. Dirty or Stained Siding – This is usually the result of the water overflowing from your gutters and spilling onto the siding. It’s not too difficult to clean siding panels with some soapy water and a soft microfiber cloth, but if your siding is always dirty or stained, you have gutter issues. This can cause mold growth in your home’s walls as well. Basement Moisture – Water in your basement can be caused by faulty gutters. Gutters are supposed to catch roof water runoff and direct it to the downspouts, which will then take the water away from your walls. Leaking or overflowing gutters are useless; rainwater runoff may end up entering your basement. This is a major cause of mold and mildew formation in basements everywhere. Wood rot is also a concern. In extreme cases, the home’s foundation loses its strength and stability. 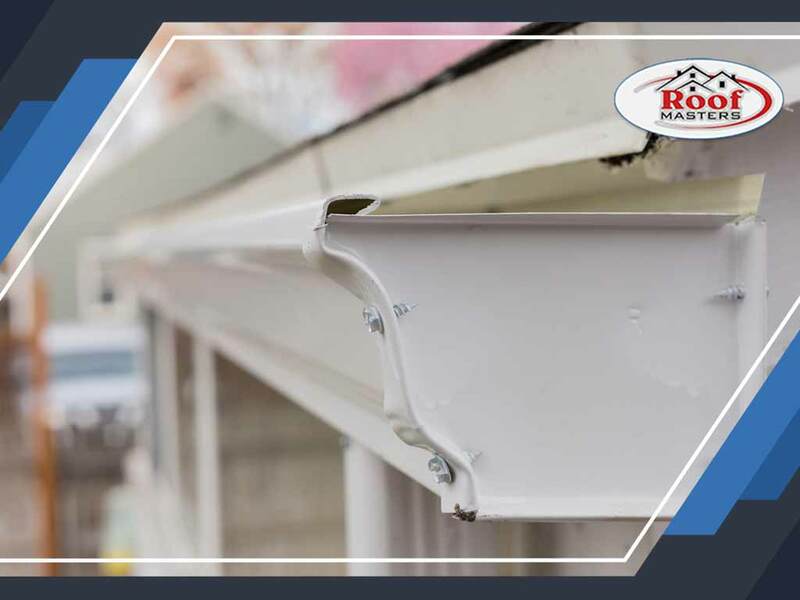 Sagging Gutters – If your gutter is sagging or starting to pull away from your home, it probably means there are clogs in the gutters that are making them heavier. The supports may become unable to take the weight. This is also risky as a sagging gutter might completely fall off. Turn to Roof Masters for your home improvement needs. We are your leading provider of gutter, roof, siding and door replacement services and emergency repairs. Give us a call at (888) 889-7551, or fill out our contact form to learn more about our products and request an estimate. We serve clients in Rockville, MD, and other nearby areas.